On a cold winter day in February, residents of an apartment block in the World Cup city of Yekaterinburg were abruptly cut off from their main access road, front yard and parking spaces. A metal security fence now separated them from the football stadium that will host four matches during the World Cup. The three-meter high barrier, which is monitored by CCTV cameras, stretches for several blocks and will stay up until August, though the month-long tournament finishes on July 15. Police have warned residents not to use their balconies, open their windows or stand near their windows on match days in case they are mistaken for attackers and shot by police snipers. Residents of 27 Krylova Street, a 12-storey beige and brown building with a red roof, live so close that they can see fans in the stands from their own windows on match days. "We now live in a zoo behind a fence," said one, Elena Mormol. "The entrance to our apartment building is under siege." She says she can no longer take her disabled child for hospital visits because she is not allowed to use the narrow strip of pavement the authorities have left for access by road. Home delivery services are also affected. Heightened security has not only created problems in Yekaterinburg. 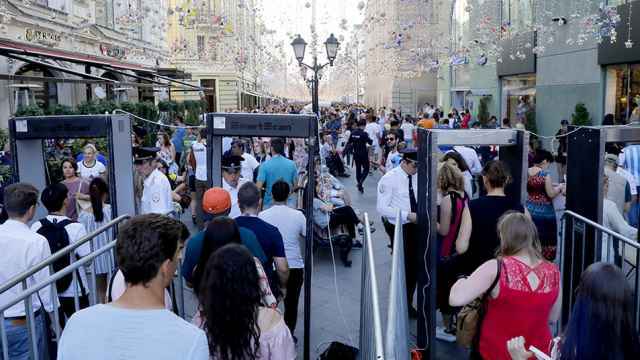 Residents of other host cities say the security measures are disproportionately disruptive and take scant account of the interests of ordinary Russians. "Everything that is being done, it turns out, is not for people or fans ... but just so officials can report on work that has allegedly been carried out," Yevgeny Chernov said in the sports shop he manages in the same fenced-off building. "We were not consulted about anything that has been done. In our country there isn't a particular need for people or ideas, just for people who pay taxes and silently agree with everything." Chernov said his revenues had more than halved because the fence makes it hard for customers to get to his shop. Not a single customer entered the shop while he was being interviewed. The Interior Ministry in Moscow, its branch in the Sverdlovsk Region where Yekaterinburg is located, and the local World Cup organising committee did not immediately respond to requests for comment about the disruption. Like the 10 other host cities, Yekaterinburg, a city of almost 1.5 million people about 1,500 km (932.06 miles) east of Moscow, is subject to a special security regime. Authorities say this is to ensure fan safety and reduce the risk of an attack. Any inconvenience is temporary, they say. They have banned the use of drones for the duration of the tournament, tightened already tough rules on public protests, banned barbecues and suspended sales of personal handguns and rifles during the competition. A bar in the fenced-off building in Yekaterinburg said business was down because of the barrier. A nearby travel agency said the authorities had tried to persuade it and other firms not to open on match days. "We won't close, we're a travel agency and it's peak season for us. Who will compensate us (for any losses)?" travel agent Tatyana Strakhina said. She said World Cup preparations and construction work at the stadium had made it hard for customers to park nearby, cars were often towed away and her firm had considered relocating. Going abroad will be harder for locals during the World Cup. On at least four days, charter flights will be rerouted from the local airport to Chelyabinsk, about 200 km away, to free up capacity, travel agents and airport officials said. 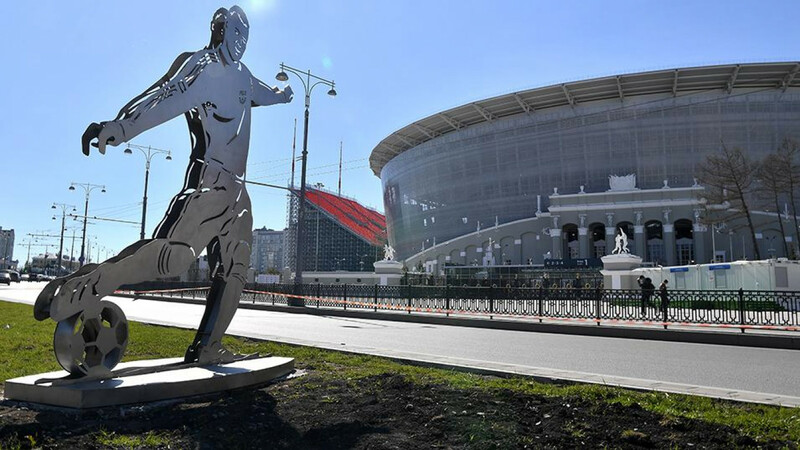 The residents of 52 apartment buildings in a security perimeter near the Yekaterinburg stadium will need special passes to use their cars on match days. Anyone working but not living in the area will have to use public transport. Residents of 27 Krylova Street say they have been subject to spot identity checks for months. 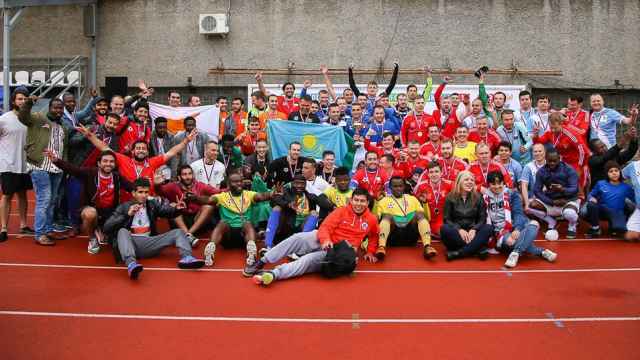 One, Dmitry Shevnin, said people were worried they would struggle to reach their own homes during the tournament. Mormol said police had given draconian instructions on how to behave. "Our local policeman went round all the flats and warned us that during matches it was forbidden for us to go out onto our balconies, open our windows or use binoculars. Apparently (police) snipers will be working in the area," she said. Not everyone is unhappy about the extra security. "There's a lot more order now, things have become more peaceful," said Yulia Nikolaeva, whose daughter and children live in the fenced-off apartment building. "Before, fans used to roam around here, they smashed bottles and relieved themselves in back streets.